LISTEN TO THE SONG. YOOU CAN WATCH THE VIDEO. LATER, CUT AND PASTE THE FAMILY FINGER AND LERAN THE SONG TO SING BY HEART. A VERY MOTIVATE SONG TO LEARN THE MEMBERS OF THE FAMILY. 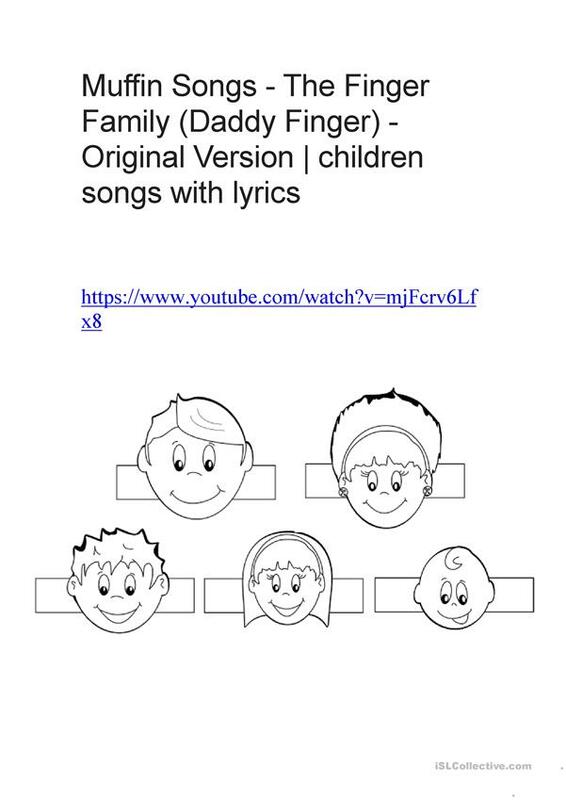 The above downloadable printable is intended for kindergartners and nursery school students at Beginner (pre-A1) level. It is useful for strengthening your students' Listening and Speaking skills. It is focused on the topic and words of Family.